Calling all Sage 100 customers! Register now for Sage Summit Atlanta on May 13-15. Be sure to take advantage of early bird rate of just $199.00 before it expires on March 31. *List DeRosa Mangold Consulting as your named partner and use promo code: PARTNEREBC when you register. Sage Summit is a multi-day event designed for you-the Sage customer. 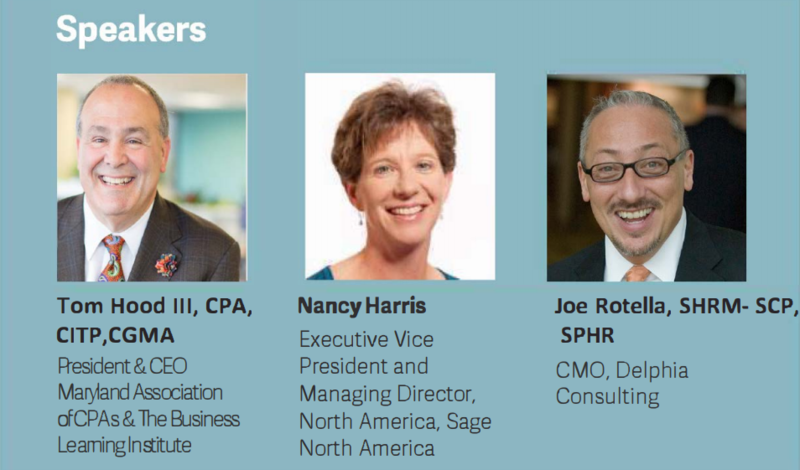 This is a must-attend event that delivers a learning, training and networking experience that will inspire you and provide you with everything you need to know to help your business thrive, whether you're shaking hands with entrepreneurs, getting inspired by thought leaders like Joe Rotella, SH RM-SCP, SPHR (CTO, Delphia Consulting) or learning from Sage experts. Find out how you can use Sage products for smarter sales and discover the power of the Sage Business Cloud. Sage Summit Atlanta combines inspiration, insights, technology, and networking for a fantastic experience that powers future business growth. You’ll find the agenda overview details below. keys to success and calculate your next move. Each Sage Summit conference will be multiday events with a welcome reception,keynote, breakout sessions, product demos, and a networking lunch & product showcase reception. Join us at Sage Summit where global cloud technology becomes local through relevant content, connections, and experiences that will provide actionable takeaways for future business success. Visit Sage Summit website to view the agenda and for the location that works for you! Get the details on speakers, agenda, pricing, and locations. This is a must-attend event that will inspire you to drive your business forward. "This was the best Sage event I've attended. Not as big as the Las Vegas or Chicago Summits and larger than the 1-day Sage Sessions. It was a good fit and I felt like I got a lot out of it." Register today and make it your goal to bring at least three customers to this event.